The regional lender BB&T said Thursday that it planned buy SunTrust Banks for about $28.1 billion in stock in what would be the biggest bank merger in the United States since the 2008 financial crisis. A combined BB&T and SunTrust would have $442 billion in assets and $324 billion in deposits, making it America’s sixth-largest bank by those measures while extending its geographic reach and increasing its ability to cut costs. Analysts have said the banking sector was ripe for consolidation, with an expectation that regional lenders would combine to fend off larger national rivals and online insurgents. The Trump administration’s easing of federal banking regulations has increased the prospects for deal-making in the financial services industry. The proposed transaction, valued at $66 billion over all, is certain to attract close regulatory scrutiny given the overlap between the two firms. Under the terms of the proposed transaction, BB&T would pay 1.295 of its shares, which were worth about $62.85 apiece at the end of trading on Wednesday, for each SunTrust share — a 7 percent premium over SunTrust’s Wednesday closing price. 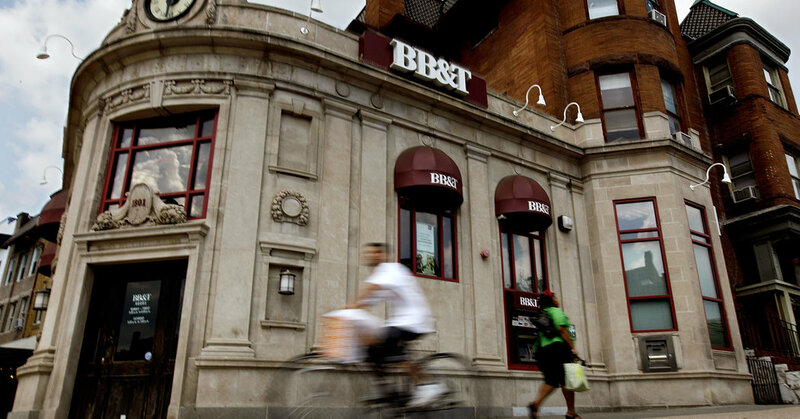 BB&T would own 57 percent of the combined entity, which would have its headquarters in Charlotte, N.C. The new bank, which has yet to be named, would maintain operations in BB&T’s home base of Winston-Salem, N.C. and in SunTrust’s base, Atlanta. The two lenders said that they expected to reap $1.6 billion in cost savings within the next years once the deal is completed, including by cutting back-office and retail banking staff. Kelly King, BB&T’s chairman and chief executive, would become executive chairman of the combined firm until 2022. William Rogers, his SunTrust counterpart, would become chief executive. “It’s an extraordinarily attractive financial proposition that provides the scale needed to compete and win in the rapidly evolving world of financial services,” Mr. King said in a statement. The deal is expected to close by the end of the year, pending the approval of regulators and shareholders.